The Tower is the highest altitude point of the Serra da Estrela and also of Portugal, and the second highest in Portugal (only Pico Mountain, Azores, has a higher altitude - 2351 m). This point is not a characteristic of the mountain ridge, but the highest point of a mountain. The Tower has the unusual feature of being a top accessible by a paved road at the end of which there is a roundabout with a monument symbolic of the Tower there is also a geodesic. It is said, although this is not confirmed, that the King John VI would incício the nineteenth century erected a monument in stone here, in order to complete the altitude until it reaches 2000 meters. The point lies on the edge of the parishes of Unhais da Serra (Covilhã), São Pedro (Manteigas) Loriga (Seia) and Alvoco da Serra (Seia), and therefore owned by three municipalities: Covilhã, Manteigas and Seia . The Tower also gives name to the locality where it is located, the highest part of the mountain. The real altitude of this area is 1993 m, as introduced by adjustments measurements performed by the Army Geographic Institute. 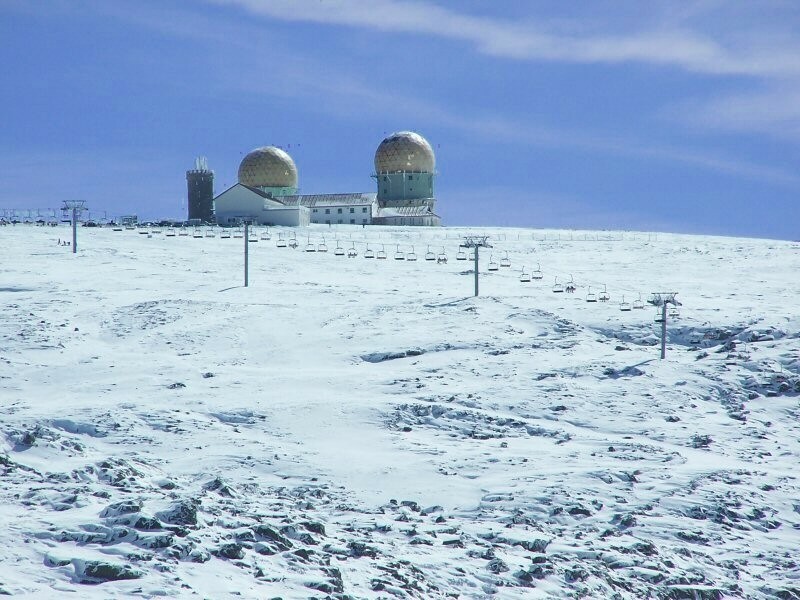 Precisely at the highest point the tower was built, a geodesic which marks the highest point of the Serra da Estrela. There is a great vantage point from which one observes a clear view over the landscape of valleys in an area of contact between schist and granite, cut by several rivers and streams. The lowest temperatures are recorded in Portugal at the summit of the Serra da Estrela , even reaching -20 ° C in winter.